Identifying and helping clients affected by heel spurs. Bodywork techniques for plantar fasciitis. How discomfort from Morton's Toe can be eased using massage therapy. Recognizing a potential case of plantar warts. Using Massage to Address Heel Spurs - Find out why massage therapists who are knowledgeable about heel spurs and their treatment are in an ideal position to help affected clients. Bodywork Techniques for Plantar Fasciitis - There is more than one approach to help someone with plantar fasciitis. In this article, learn about this inflammation of the plantar fascia and find nine ways massage can be used to relieve this common type of foot pain. Morton's Toe: One Little Bone, One Big Problem - The human body contains many wonderful things. Most of them have been handed down genetically, from parent to child, and there is little we can do to change them. One such trait is called Morton's Toe. 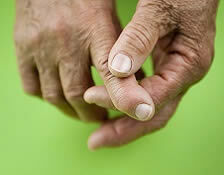 Only about 10 percent of the world population has this attribute, where the second toe appears longer than the first. About 80 percent of those with Morton's Toe suffer from chronic pain. Much of it is thought to derive from this relatively rare foot configuration. Learn how discomfort from Morton's Toe can be eased using massage therapy. Plantar Wart Detection for Bodyworkers - Even if your clients don't know what lurks on the undersides of their feet, discover why massage therapists must be able to recognize a potential case of plantar warts. I liked that actual massage techniques were clearly discussed. I will be able to use this information in my practice often. Thanks for a great, basic course with a surprising amount of information. I suspect I have a Morton's Toe and the suggestion to make a foot pad to put under my toe is something I'm going to try. All my adult life I've had back, hip, knee, TMJ pain and now arthritis in my knees. Great information in this course. I love feet! I learned more about Morton's toe and found the information very interesting. I would have liked a few illustrations, but I was able to find all of the additional information I wanted in my reference book. This was a wonderful course to launch me into doing a foot massage treatment. Its nice to read about the pathologies that are out there and how to work them. The article on Foot Health and Massage was wonderful as well. This course was simple, but the information was very significant! Very Thorough course. I especially liked the detailed descriptions on treating Plantar Fasciitis. I really like your course material, the presentation, and the ease of test-taking. Because of this, I return to your Institute every year. Thank you. Great course that addressed most of my foot pathology questions. It would be great to include Hammer toe syndrome too. This course really provided me with much deeper information about foot pathologies. I'm very impressed! This was a very helpful course and I put the information and technique ideas to use immediately! I really enjoyed this short course. It was clear, to the point and of great value to me, as many of my clients have plantar fasciitis and sometimes have suspicious "areas" that could be plantar warts -- good to have "backing" so I can refuse foot massage, until clients get a diagnosis from their doctor or nurse practitioner. I thought the information was interesting and informative. I will be looking for plantar warts, and talking precautions. I really liked this course study. I learned so much more than I thought I already knew. Thank you for offering this course. I have Morton's Toe and I have had problems with foot pain so I was interested in any new information that this course was offering.. I feel that this information will be helpful to my clients as well as myself. I highly recommend it. I gained a lot of new and needed information. It was detailed but not overwhelming. I can use most of the new information with my clients suffering from foot pathologies. I wish pictures or diagrams would have also been included. This course was brief and to the point and just what I was looking for in foot support. Even though I do question the solution for Morton's syndrome mentioned in the course, the course is well worth the time to explore. Thank You. Good, to the point information about foot pathologies with welcome solutions. Thanks for the information! Excellent course content. Enjoyed studying this subject. Easy to follow and understand terms and methods. The material was very clear & I really liked that we can print out the reading material & do it on our own time especially with my busy schedule. I am very satisfied with this course & plan to take more courses in the future! Very good course as usual! Excellent overview of foot pathologies. I found it helpful in my understanding of foot patholigies. I enjoyed the information, since a lot of my clients have heel spurs and foot issues this was a nice course to take as a refresher. Excellent material and presentation! Brief, to the point, humorous, and I learned a lot. Thank you! FANTASTIC! Very informative and necessary for any Therapist who perform any type of bodywork on their clients feet. 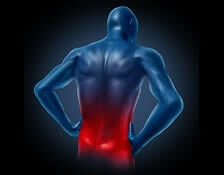 This will assist me with several clients asking about help with these particular ailments. Thanks! This couse was very enlightening. I will apply this to my practice and was very pleased with the content. I was interested in this course because I have PF & was curious to find additional therapies for myself and my clients. Thank you on a personal level as well as professional. Very informative course. Gives me a clear feel for what I need to do for my clients who have any of these pathologies. Very interesting, I learned a lot of new information which will be helpful in my practice. Very good information to have and use. Useful information both for my clients & myself. I really liked this course. This was a very interesting course and it will be helpful in my pratice. I really like your courses.Thank you. Very clear, learned so much about the foot in the course. The information was very well written and presented. I really enjoyed the articles. Great reading material with appropriately aligned coursework that was relevant to other subjects. I enjoyed this course, very interesting and I plan on incorporating it into my practice. Thank you. Thank you. Very good, as all your courses are. So many people have these problems and this is very practical info for both understanding and addressing foot issues.